Go big or go home, the saying goes. So that’s what I aim to do. Today, I’ll be telling you about a monster-sized property in the largest city in the southern U.S., Houston, Texas. It’s a whopper of a building, a downtown condo that is big on service, big on amenities, big on location. Okay, you get the idea. It’s just plain big! But the prices are not – condos start at just $155,900 – making Mosaic on Hermann Park appealing both as a residence and an investment. Mosaic’s twin towers light up the downtown Houston skyline. Two Towers, 790 Condos – Wow! Mosaic on Hermann Park packs 790 total condos in its two, 29-story towers, inclusive of 36 penthouse residences. The north tower has 394 brand new units available for sale right now, while the 396 units in the south tower, completed in late 2009, are currently rented. 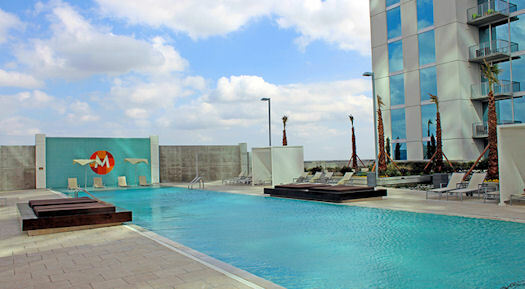 Mosaic’s long pool is perfect for swimming laps or just enjoying the warm Texas sun. Social lounge & recreation center with catering kitchen, billiards, TV, etc. 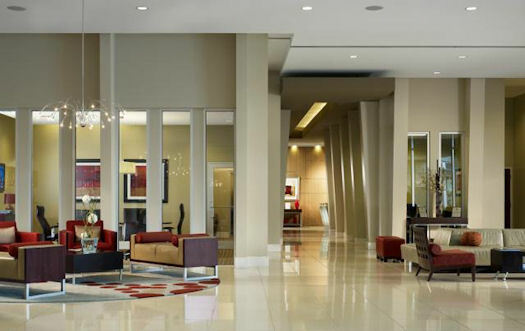 Each of the two towers has its own dramatic lobby, comfortably furnished for guests and residents. Mosaic’s biggest amenity though is something you won’t find at other residential communities. It’s an immense, full-featured, full-service wellness center. Mosaic Wellness Center, It’s Huge! Just take the elevator down to the sixth floor from either tower and enter the largest private wellness center in Houston. Mosaic Wellness Center spans 6,500 sq. 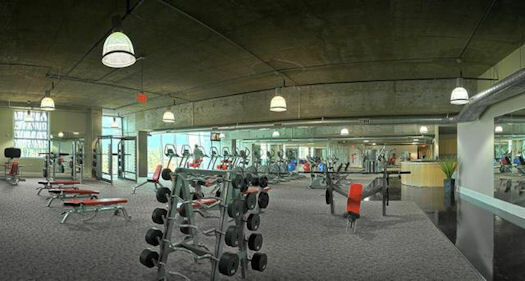 ft. with multiple equipment rooms and personal trainers. Mosaic puts Houston at your fingertips. It’s only 10 minutes to restaurants, shops, bars, nightclubs, movie theaters and more. 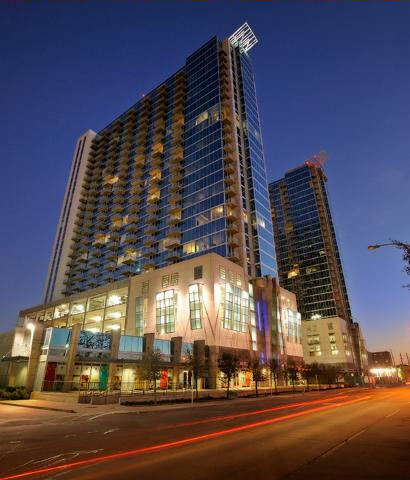 Right across the street from Mosaic is a golf course at Hermann Park, and you’re within walking distance of the world-famous Texas Medical Center, Houston Zoo, Miller Outdoor Theatre, the Museum District and Rice University. Houston is the fourth largest city in the nation. It trails only New York City, Los Angeles and Chicago. It has an overall after-tax living cost that is 12% below the nation’s average, housing costs that are 26% below the nation’s average, and Texas is one of seven states that does not have a state sales tax. Temperatures average a mild 68 degrees year round. Houston offers a great lifestyle. It has a full range of big league sports. It also has a unique museum district offering a range of museums, galleries, fine arts and cultural institutions. Its theater district is second only to New York City’s with its concentration of 12,000 seats in one geographic area. At the Galleria, you’ll find some of the best shopping in the world. And Houston is home to the Texas Medical Center, the largest medical center in the world. And, right in the heart of all of this, you’ll find Mosaic on Hermann Park, Houston’s only newly-constructed luxury tower in the city’s Museum District, offering all the convenience of urban living along with all the luxuries of a resort lifestyle. Prices on Mosaic condos start at $155,900. Financing is available. Considering everything it offers, I was pleasantly surprised at the affordable pricing at Mosaic. When compared to many of the properties we’ve offered in the South Florida market this past year, prices at Mosaic are extremely attractive, starting at only $155,900. 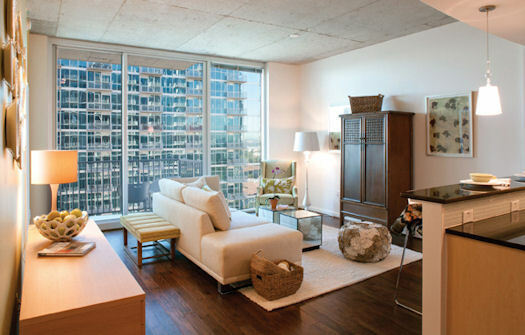 Mosaic’s condos are bright and spacious. They offer panoramic views of downtown Houston. Mosaic combines open floor plans with many one- and two-bedroom soft loft style homes to choose from. Condos have private balconies with stunning vistas, 10’ ceilings with floor-to-ceiling windows, and come fully finished with hard wood flooring in place, included in the price, saving you thousands. 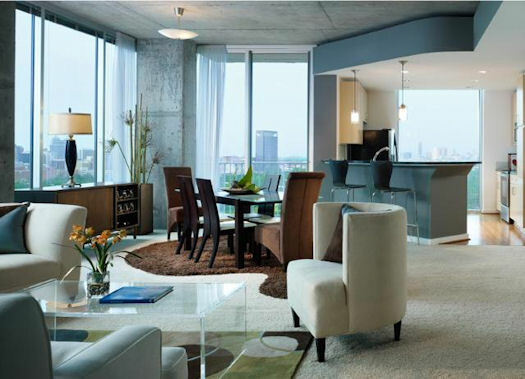 The condos are delivered fully finished with your choice of flooring in place. 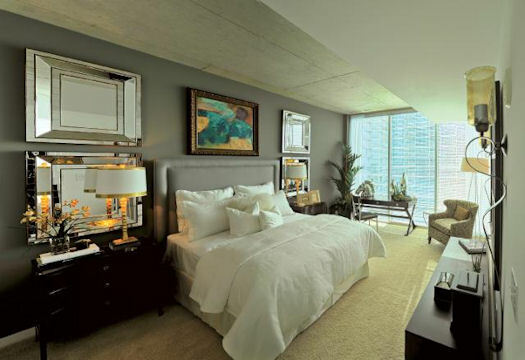 One-bedroom models of 733-1,010 sq. ft. range from $155,900-$230,900, while 1,270-2,834 sq. ft., two-bedroom models are $285,900-$501,900. Each offers beautiful views of the Mosaic’s pool. 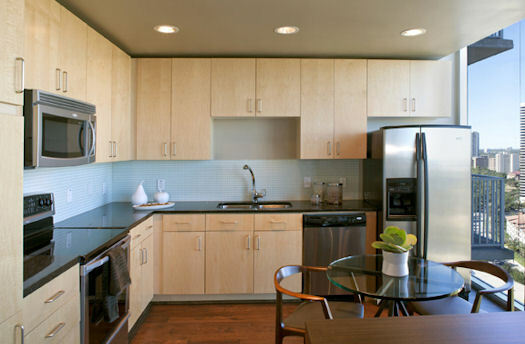 Kitchens come with granite countertops and top-of-the-line stainless steel appliances. If you’d like a larger residence, penthouse condos with either two- or four-bedroom models, and with sizes from 1,506 to 2,997 sq. ft., start at $561,900. 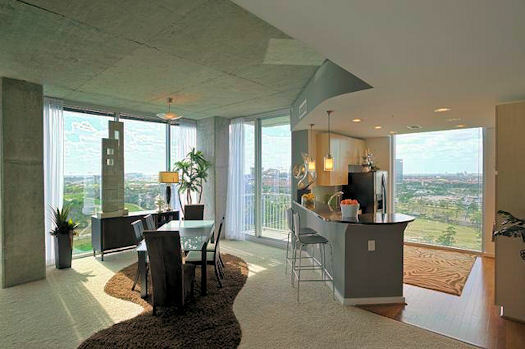 Choose from a wide variety of open floor plans from 733 sq. ft. to 2,997 sq. ft. Despite their lower purchase price, however, the rental market is strong. This downtown condo with the incredible Mosaic Wellness Center, is commanding a healthy $1.97 per sq. ft. A low price combined with a high rent translates into a nice bottom line. The Mosaic is Fannie Mae approved, and several lenders are available to finance your purchase. A nominal $2,500-$5,000 deposit is all it takes to go to contract, and if you work with BBVA, the developer’s preferred lender, the developer will even pay for your Buyer’s Title Policy, saving you about 1% of your purchase price in closing fees. 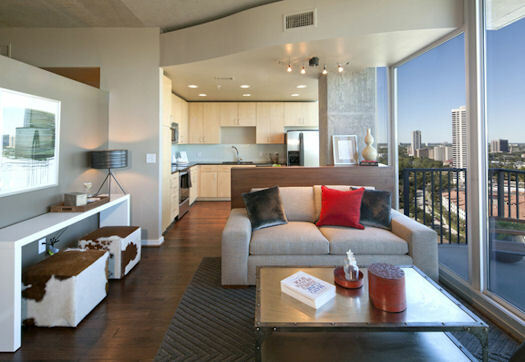 Mosaic on Hermann Park offers all the conveniences of contemporary urban living. Want to know more? I’ve put together a detailed data sheet on Mosaic at Hermann Park that has all the details. Just provide your name and contact information, per the developer’s requirements, and we’ll send it right out to you. Then, I’d welcome the opportunity to arrange for you to see the property. Request the Mosaic data sheet here. As always, a big thank you for your interest in the properties we showcase at Condo Hotel Center. If you know anyone who’d consider investing in Houston real estate, please feel free to pass along this Property Alert. In the months ahead, we hope to have many new options outside of Florida in several major cities in the U.S. You can always wait until we mention them in future Property Alerts or visit our Featured Properties page to see all listings currently available.